Hip Hop has had a presence in South Africa since the mid-1980s. Hip Hop music was played in the clubs, kids danced and dressed along the lines of US American Hip Hop movies, and graffiti began to appear on the walls of Cape Town. The social reality, however, was determined by the apartheid regime, especially for the so-called blacks and coloured people. Racism, forced resettlement and segregation, police violence, poverty, lack of career opportunities and the lack of opportunities for leisure pursuits: The worsening political situation at the end of the 1980s catalyzed the politicisation of Hip Hop. The Zulu Nation, formed 1974 by Afrika Bambaataa in New York, was decisive in bringing together youth with Hip Hop culture as a positive outlet and social movement and in doing so, countered gang violence. With the collaborative project Hip Hop Against Apartheid, they even directly supported the ANC. But Hip Hop had already been planted in the ‘mother soil’ and born fruit there. With Prophets Of Da City (POC) and Black Noise, both from Capetown, South African Hip Hop was brought onto the global map. Created while still under Apartheid, they were heavily influenced by the legacy of the Black Consciousness infused X-Clan or the Native Tongues. They could also build on a local heritage of leaders such as Steve Biko. 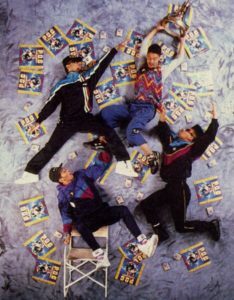 Therefore, knowledge as the 5th element – besides MCing, breakdancing, graffiti and DJing – became an integral part from the start. It enables people to establish a self-conscious identity that is both constructed and expressed through Hip Hop. This identity is always part of a reality in which POC texts are censored by the government or banned from the programme by radio and TV stations. As a vehicle for education, Hip Hop’s primary purpose is empowerment, and it serves the community with revolutionary social commitment. Prophets of Da City (POC). <http://africasacountry.com/wp-content/uploads/2014/06/POC1.png> [24.01.2018]. From the late ‘90s onwards, new crews were formed throughout the country. In Capetown, the Brasse Vannie Kaap and the legendary all-female crew Godessa hit the stage, both with socially critical texts. The Rhyme and Reason Crew and Cashless Society were founded in Johannesburg. In Durban, The Big Idea Crew emerged when Zulu Boy released the first rap album in isiZulu in 2006. The use of various languages and code-switching became a strong marker for a ‘glocalized’ identity. However, the political movement of the POC era lost its impetus. For economic reasons, but also because lyrically demanding music was much less attractive to the club experience, Hip Hop as a movement for social change went back underground. In the post-apartheid years after 1994 and the easing of censorship, a newly developing genre kwaito lowered major labels’ interest in marketing Hip Hop even further. This made essential efforts for reinvention and for independence at all levels of the production process, from musical equipment and home recording to distribution and management. An important landmark for the independent Hip Hop scene was the album Error Era by Hymphatic Tabs in the year 2001, which was the cornerstone for many later albums to come. 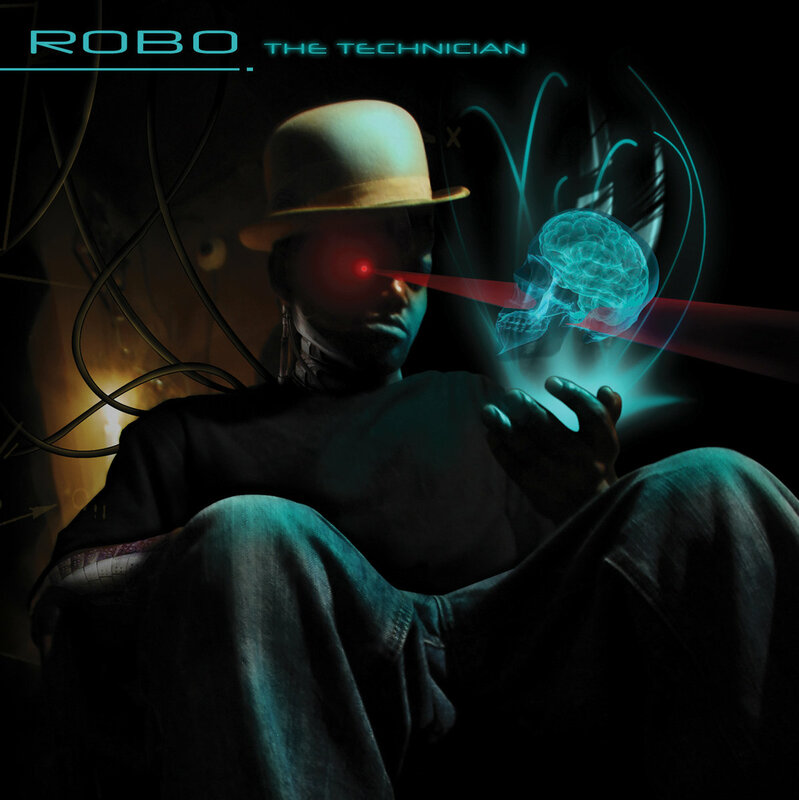 Robo the Technician, CD cover. Iapetus: Robo The Technician, 2009. <https://iapetusrecords.bandcamp.com/ album/robo-the-technician> [24.01.2018]. A major breakthrough was Yugen Blakrok’s internationally acclaimed The Return of the Astro-Goth in 2013, released under Iapetus Records. Strongly devoted to the culture, the Joburg-based label became a platform for South African independent Hip Hop. Even though committed to social critique, the Iapetus artists are less openly political, but build heavily on esotericism, outer space imagery and afro-futuristic aesthetics. The label serves as a home base to dig deeper into the cultural vaults and lyrical gold mines of conscious Hip Hop, while at the same time emphasizing its unique signatory approach to the style. Prophets of Da City: Never Again, on: ibid. : Never Again, Beggars Banquet Records 1994. Yugen Blakrok: Neo.Vadar, on: ibid. : The Return of the Astro-Goth, Iapetus Records 2013.